MyUtilityGenius > Posts > Blog > What are Smart Meters? Smart Meters are new generation of gas and electricity meters that automatically send digital meter reads to your energy supplier. The purpose is to help create more accurate energy bills for your home whilst allowing you to better understand and manage your energy use. This means no more manual meter reads and more importantly no more estimated energy bills. Between 2016 and 2020, energy companies will replace every energy meter in the UK, which amounts to around 53 million energy meters at a cost north of £11 billion. The government has committed to installing a smart meter in every home in the UK by 2020. Smart Meters measure the total amount of energy used in the same way as a traditional meter, you will also receive an In-House-Display unit which will illustrate just how much energy has been used over a period of time and more importantly how much it costs you. So if you have all the lights on in all the rooms in the home and one-by-one switch them off, the real-time energy usage data will show your consumption falling. The display data can also show historical energy usage allowing you to compare past and current energy usage. Your Smart Meter sends a signal to your energy supplier, much like the technology associated with mobile phones to automatically submit your meter reads. This automatic communication means you no longer will need to submit a manual meter reads or wait for an appointed meter reader to come you home. Are Smart Meters available for Prepayment customers? Smart Meters can work for both prepayment and credit meters, depending upon which method suits you best. Prepayment customers will see an enhanced way of engaging with their energy usage, with increased top-up methods and the ability to remotely top-up, so no more strolling around in the dark to buy and top up the meter. Prepayment customers can also ensure once negotiating with their supplier that their power doesn’t go out just because the top-up methods are inaccessible or closed, so the smart meter can be set to ensure credit will be present during these times. What affect Smart Meters can have? It isn’t the Smart Meter itself that will save you money on energy bills, but rather the information on the In-Home-Digital readout that allows you to make a more informed choice to meaningfully adjust how much energy is being used at any given time. With the increased ability for the public to be more aware of the quantity of energy is used, the supplier can in turn use the Smart Meter roll-out as a platform to create more appropriate Time of Use energy tariffs. This is where varying rates of electricity at different times throughout 24 hours can be more suitable to your consumption patters, much like those on Economy 7 meters. With the increase in use of Smart Meters once installed, you will see energy suppliers moving towards more tailored energy tariff price structures. This can in turn allow for a smarter energy grid, which means information and communications technology can be used to monitor and control electricity generation and match demand as close to real-time, allowing the UK to better plan and manage energy supply, as well as creating a more efficient relationship between demand and supply. Should I embrace having a Smart Meter? You’re also right to consider how the cost of this initiative will be recouped by the suppliers; will they ultimately be passing the cost onto the bill payer? Who has access to your consumption data and will it be used in any way without your permission? Are the radio frequencies and electro-magnetic radiations produced from the Smart Meter really safe? The government code of practice for energy suppliers sets out the minimum standards suppliers must adhere to when installing smart meters into their customers’ homes. The code clearly states customers have the choice on the volume of data the energy supplier collects, whether the supplier is allowed to share details about your consumption with other organisations and finally whether your data can be used for sales and marketing purposes. When the mandatory roll-out period commences in April 2016, and your current supplier has contacted you to change your energy meter to a smart meter because your current meters simply needs replacing as its too old, then you should replace it to ensure the old meter no longer remains a safety hazard. Having a Smart Meter is not mandatory and therefore you can refuse its installation. The official roll-out doesn’t commence until April 2016, and when this does you should be able to still refuse one. 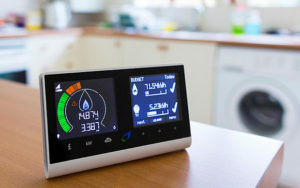 Some suppliers have started to install smart meters even though they do not meet the final smart meter specifications. So these meters will not have full functionality than latterly installed ones. So whilst the notion to install one seems logical, actually it may cause a hindrance when switching supplier at the smart feature may not yet be compatible with the new supplier. Chances are if you switching suppliers it will be to a smaller independent one who may well take their allocated time to come up to full smart meter specifications. So it still remains that switching energy supplier every year for the next 5 years will be the best way to reduce energy bills immediately. Suppliers that are installing Smart Meters on a wide scale? Suppliers that are installing Smart Meters on a smaller scale?